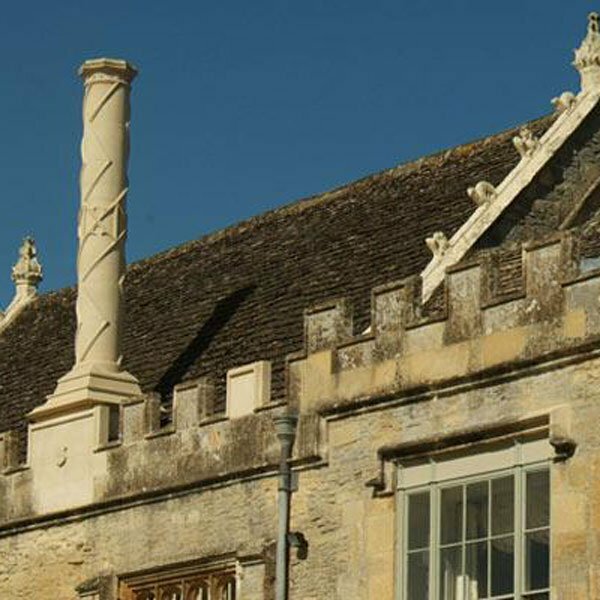 Of outstanding historical importance, Down Ampney Manor in Gloucestershire demanded absolute compliance to the technical and aesthetic intricacies of the architectural plans. 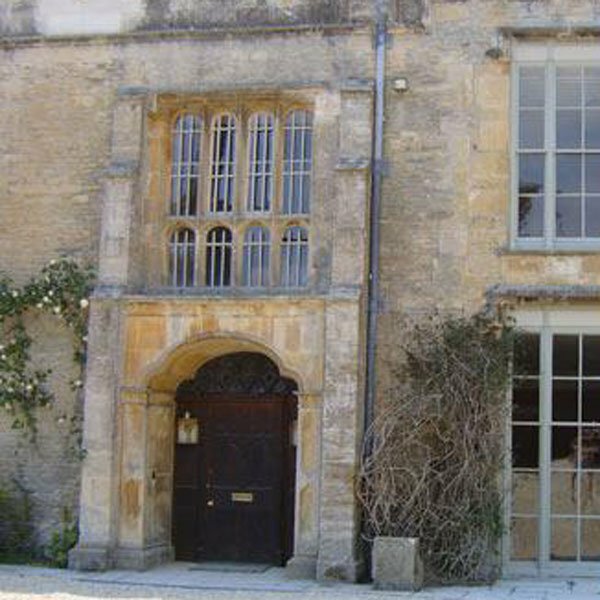 A single story extension featuring gothic mullioned windows and castellated entablature was replicated throughout the first floor extension, conservatory wing and swimming pool pavilion. 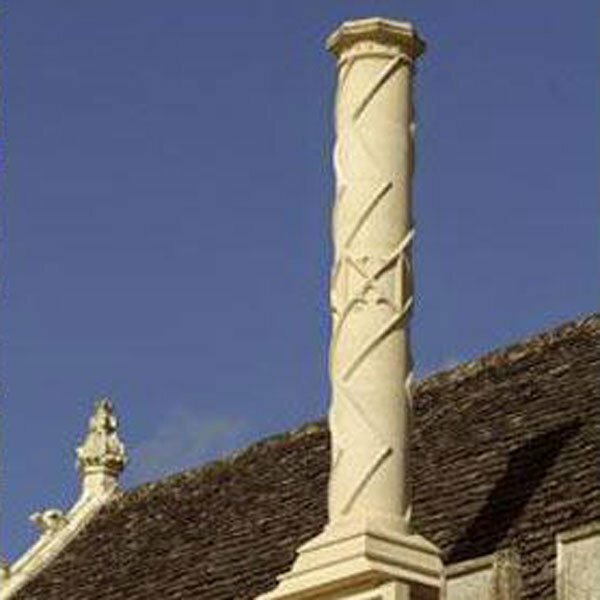 The chimney installation presented a particular challenge when it was discovered that the supporting masonry also needed replacing, resulting in its removal in a single piece to eliminate damage to the carved sections whilst the sub-structure was replaced. “It was only through Meister’s insight and their skill that enabled our team to complete this operation without costly delay in both time and finance.” – David Paul, Senior Contracts Manger, Kingerlee Ltd, Contractors, Oxford. 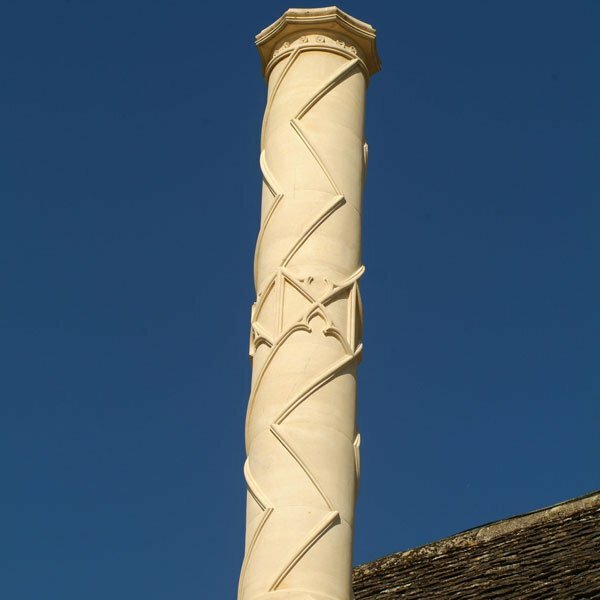 “Peter Yiangou Associates LLP worked successfully with Meister Masonry on this prestigious Grade I Listed property and were most impressed by their stonemasonry skills in conservation and craftsmanship” – Peter Yiangou Associates.